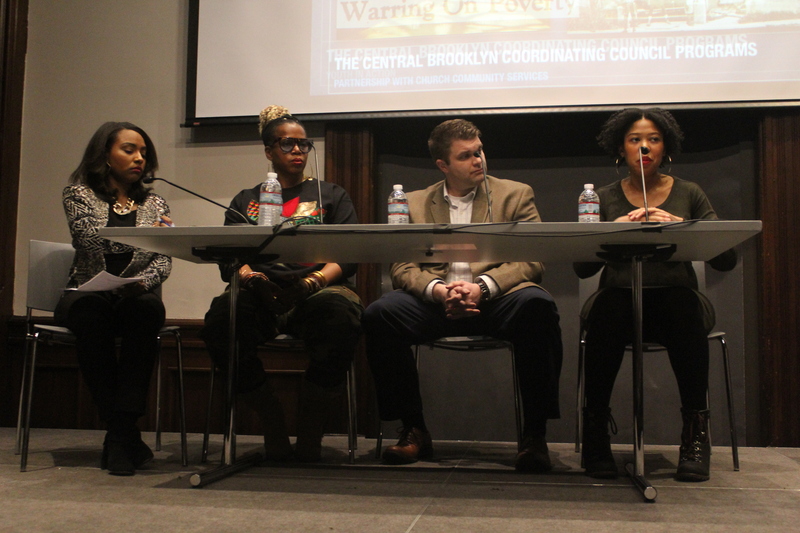 BROOKLYN HEIGHTS – “Becky – girl, go.” This is a part of what Jyll Hubbard-Salk, founder of the Crown Heights yoga studio Urban Asanas, said when discussing the gentrification of the neighborhood she grew up in at the panel discussion Black-Owned Businesses: A History of Enterprise and Community in Brooklyn hosted by the Brooklyn Historical Society on February 11. Moderator Selena Hill, Digital Editor at Black Enterprise and host of What’s Eating Harlem?, asked the panel questions about gentrification in the neighborhood, the struggles of being a black business owner, and the social impact, history and current status of black-owned businesses in Brooklyn. 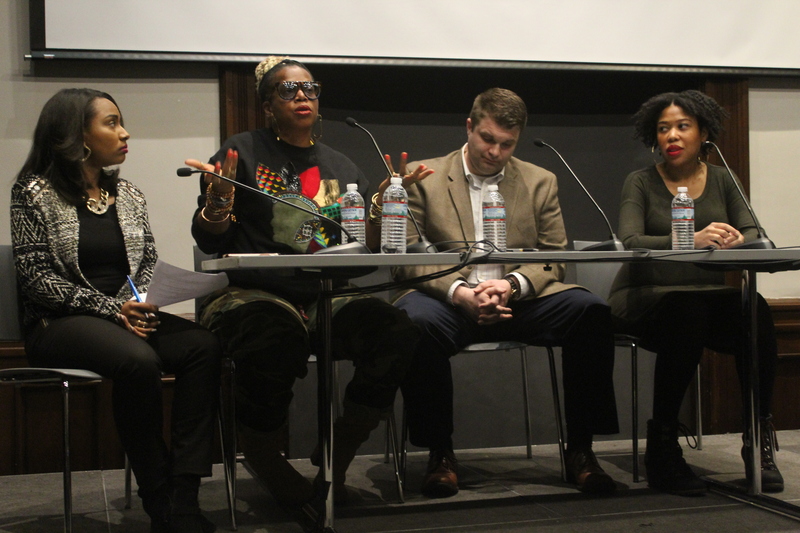 The panelists included: Hubbard-Salk; Cynthia Gordy Giwa, Editor-in-Chief and co-founder of Black-Owned Brooklyn; and historian Jason Bartlett. 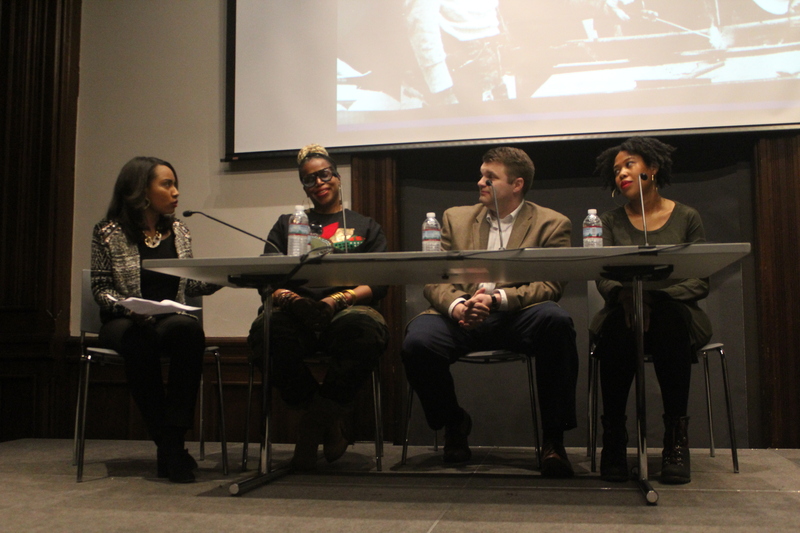 One question the panelists tried to answer: Are black-owned businesses declining or is there a new renaissance? Giwa referenced census data that reveals an increase in overall black-owned business in the nation, but a decrease in New York. But gentrification itself can be hard to define, Bartlett added. When Hubbard-Salk first began her business she knew she would have to work twice as hard to make it as a black business owner. Yoga is her life, but it’s not easy. She said she was offered donated yoga mats, but knew she needed to buy new ones because of what she was building. Her rent is doable, but not because of luck. Hubbard-Salk said her passion and hard work are what keep the business alive. Rent may be doable for Hubbard-Salk, but she said some of her students have had to leave the neighborhood due to increased rent prices. Giwa said she uses her online publication to document and preserve black-owned businesses because they serve as safe and multifunctional spaces. Urban Asanas is a part of this narrative. Hubbard-Salk said having these safe spaces are beyond black and white. It’s human. 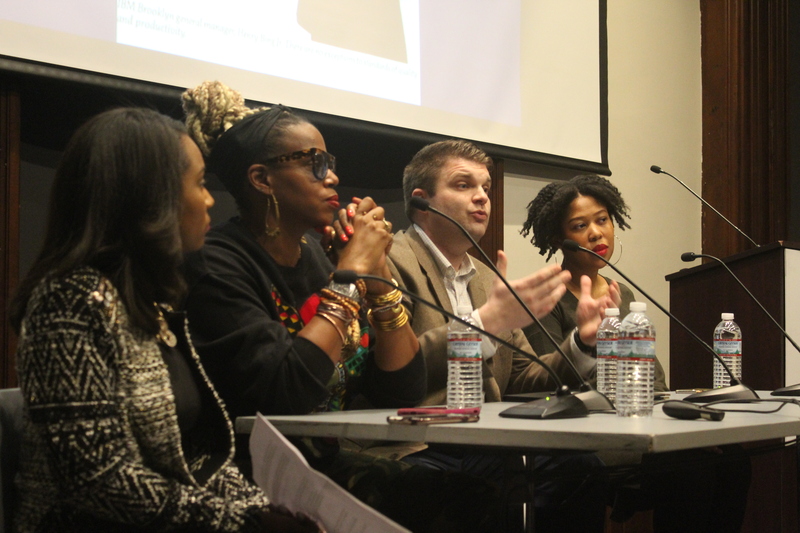 When the panelists were asked what communities can do to keep the businesses alive, they agreed it’s a part of a collective participation and conscious consumerism to support black-owned businesses. What does “Becky – girl, go” mean? @ Harry: First, she never said she was failing in her business. Secondly, her very words were “I always feel like I have to do so much extra, and I want to say it’s not fair,” she said. “But what do I do, except keep doing what I do and hopefully touch someone’s life? I try to change lives and make things better. The universe is handling me and they’re handling me well.” Since reading comprehension is not your strong suit, that means that even though she feels that she has additional barriers to overcome, she has to keep fighting and working on her business despite those realities. So long as she keeps working in her purpose of helping people, the universe provides for her and she can succeed nonetheless. That means she isn’t blaming anyone but being self-reliant and carrying on. The fact that you have contorted her words to mean that she is a failure who blames her lack of success on her race is more an indication of your own innate racism and lack of reading comprehension. You should check your own agenda and stop projecting onto others.